− 2 = six Required Please enter the correct value. The recent selloff in metals has made some opportunities for investors to scoop up stocks to buy at record discounts, and it's not just in gold and silver-related plays. Although it is not as heavily traded as the shinier metals or treated as a safe haven asset, copper has also been slipping. Copper prices recently fell to a 17-month low as more efficient mining practices has increased supply and demand has slowed. 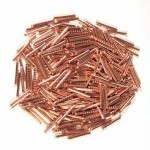 According to the Bureau of Metal Statistics copper supply will top demand by 97,000 tons in 2013. 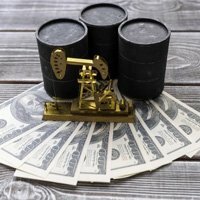 The rise in the dollar has also pressured prices as copper is priced and traded in dollars. This has caused a price plunge in copper-related stocks, giving some huge upside potential. In fact, this tumble may be creating a huge opportunity in a special situation stock that is owned by some of the world's most successful investors. It's a chance to own a company with large reserves of copper that are worth far more than the current stock price.